Look closely at baby Jesus. This is the Hope Mills Nativity on Main Street. 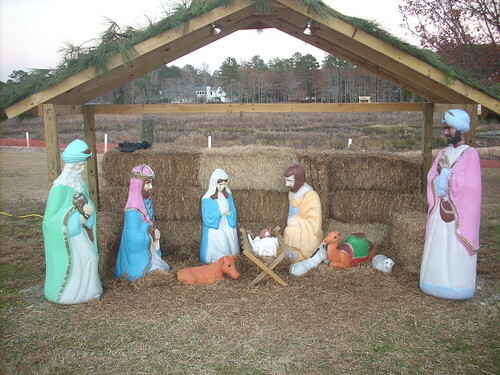 Baby Jesus is stolen pretty regularly from this manger scene. This particular one was gone as of 12/15/12. I am sure he'll be replaced by another doll baby.